The new Boeing 777 with the registration OE-LPF which will be added to the long-haul fleet of Austrian Airlines starting in the middle of May 2018 shines in a new design as of today. The painting and labelling work on the aircraft, that is still undergoing modifications in Hong Kong, was successfully completed. Accordingly, the design refresh on an aircraft of the Austrian Airlines fleet can be seen in Hong Kong today for the first time. In addition to that, the Boeing 777 features a special labelling on the occasion of the 60th anniversary of Austrian Airlines. An extra large “60” is shown on the right side in the flight direction, and two people in flying postures are depicted on each side. The flying posture is derived from the 60th anniversary campaign of Austrian Airlines. In this context Austrian Airlines employees are shown as if they were flying in line with the motto “Austria is flying”. The number 60 and the four figures on the Boeing 777 are comprised of about 2,300 individual pictures of Austrian Airlines employees, who were photographed for this special occasion to make the Boeing 777 smile. On balance, the “60” on the jet attains a height of 11.3 meters and a width of 5.6 meter. The figures boast a height of up to 7 meters. Each individual image has a size of 17 x 11.2 cm and is thus somewhat bigger than a postcard or the DIN A6 format. The “Triple Seven”, as this wide-body aircraft is named in the aviation industry, is the first Austrian Airlines aircraft to feature the adjustments made to the brand image. The extension of the red area from the empennage downwards across the fuselage optically enlarges the empennage. As a result, the logo is more dynamically highlighted and shown to be bigger. The wordmark “Austrian” in the front area of the fuselage is displayed over a larger surface area and is thus clearly readable from far away. The jet engines shine in a resplendent white. As a result, the chevron and wordmark “Austrian” are visually highlighted in a more charming manner. 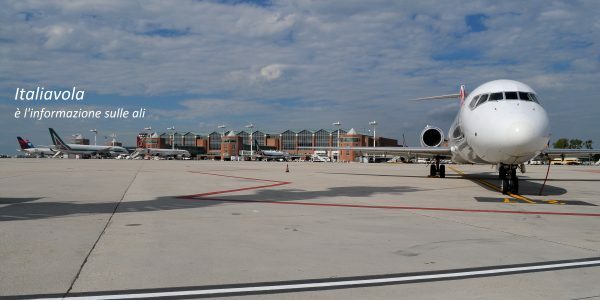 The typical Austrian salutation “Servus” remains on the aircraft belly. One by one each aircraft in the fleet will be gradually modified to feature the new design over the next seven years. 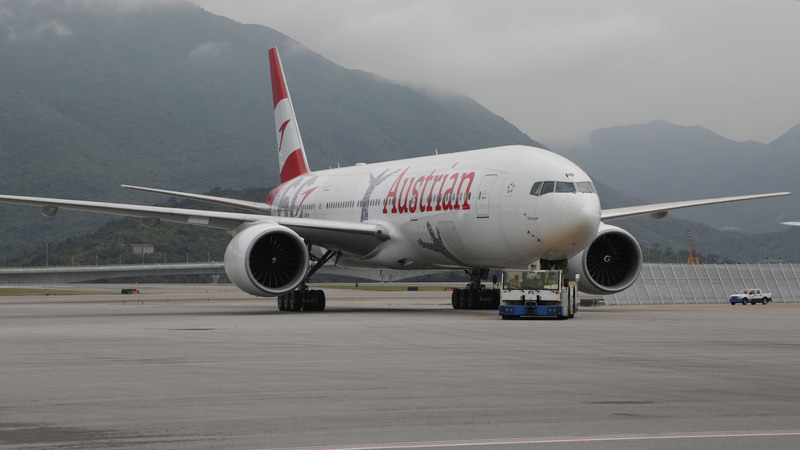 The Boeing 777 with the registration OE-LPF is still being subject to modifications in Hong Kong in order to fulfil the standards of Austrian Airlines. The wide-body aircraft will be transferred from Hong Kong to Vienna in May and then start to operate for Austrian Airlines. The Boeing 777-200ER with a height of 18.8 meters, a length of 63.7 meters and a wingspan of 60.9 meters, is the largest aircraft in the Austrian Airlines fleet. Thanks to the addition of OE-LPF, the Austrian home carrier will have a total of six Boeing 777-200ER jets in its fleet.